Apple on Wednesday released a free college-level computer coding course designed to teach students how to create apps, a move that’s part of the company’s push to highlight its role in the U.S. economy. 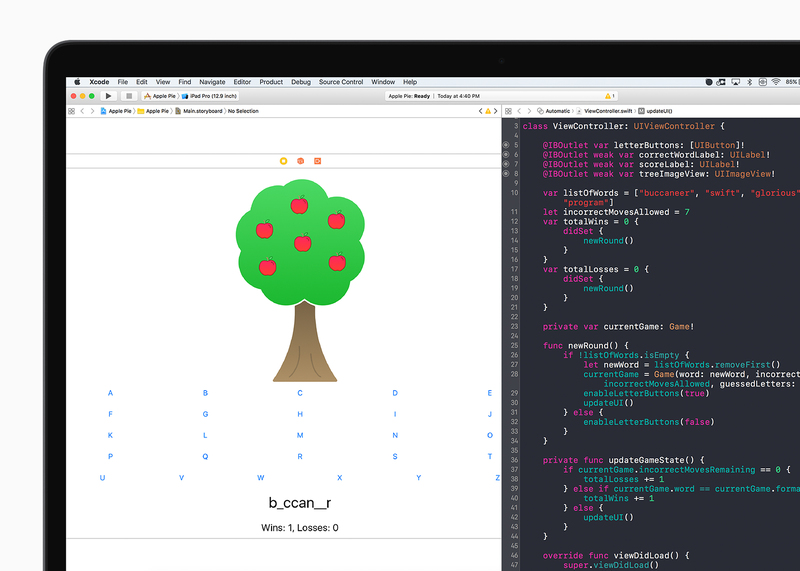 The one-year curriculum is called App Development With Swift. The programming language used for Apple apps and devices is Swift. Apple is offering the curriculum free on its App Store, but has lined up six community college systems around the nation to use the course. The “app economy” employs around 1.53 million in the United States alone, according to numbers offered up the company, making up a majority of the two million jobs its says it’s created in the U.S. Certainly it’s important for graduates to possess coding skills, and while Swift isn’t exactly an all-purpose language — designated solely for Apple products –there’s plenty of opportunity in those offerings and something to be said for learning the fundamentals of code, whatever language.